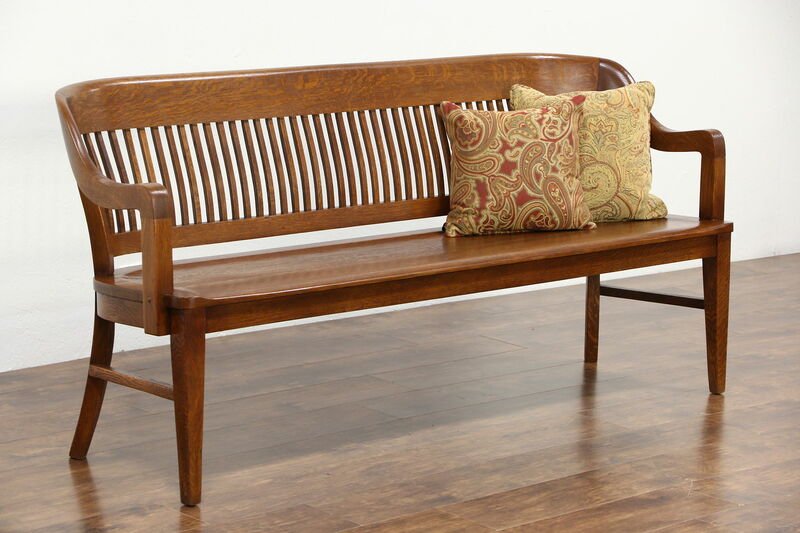 A solid quarter sawn oak bench was made for a train depot about 1900, and is signed on a brass plaque, "Milwaukee Chair Co."
The rugged frame is tight and strong with an excellent renewed finish. There are shrinkage separations from age, see photos. Curved lumbar spindles and the sculpted seat are comfortable on this American made antique railroad station furniture. Size is 6' 1/2" wide, 25" deep, 34" tall and the seat is 18" high.